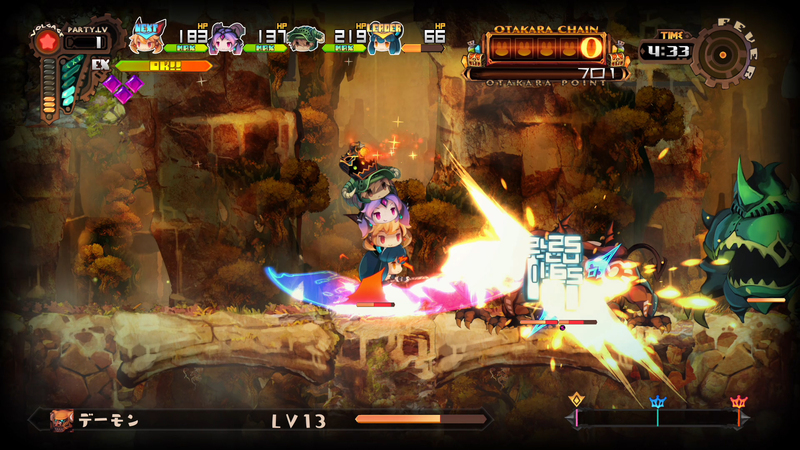 With its sidescrolling action RPG Lapis x Labyrinth recently releasing in Japan, Nippon Ichi Software has released new images and details for the game. 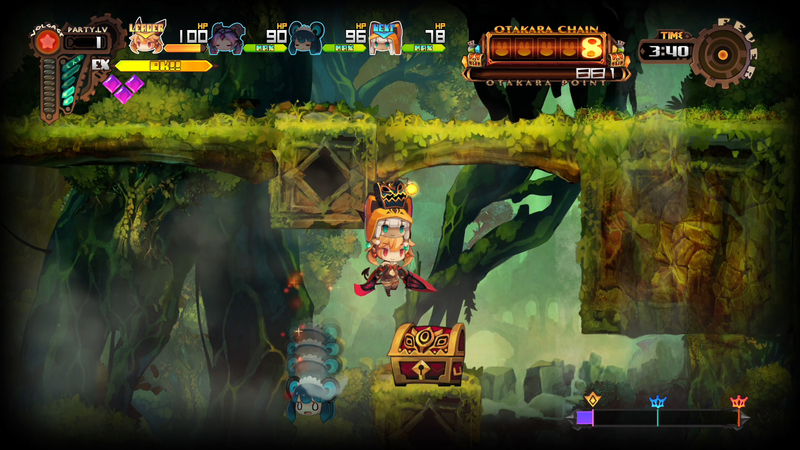 The details primarily concern an assortment of the game’s systems, with a brief 30-second trailer also released. 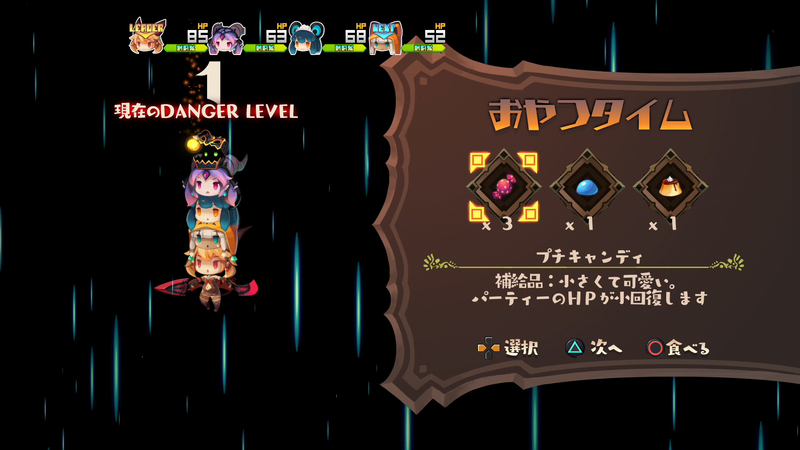 As previously detailed, the game sees its party members heads stacked on top of each other, with players able to use special actions with the various heads in the stack. 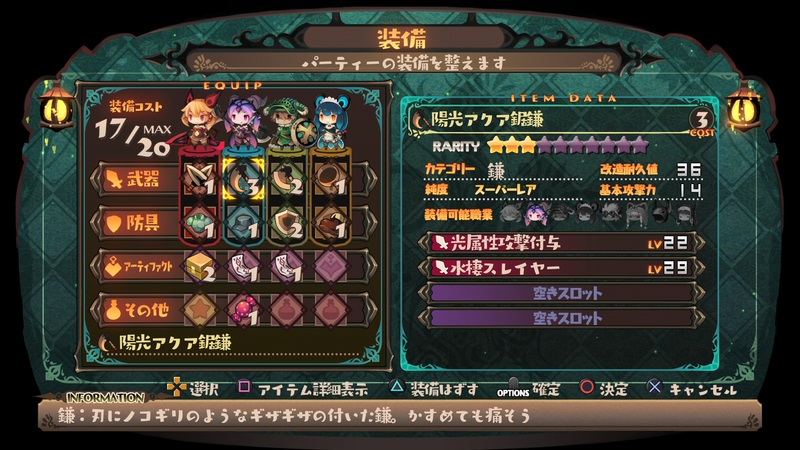 In addition, the current leader head will be able to use basic attacks and job actions, letting them generate combos. 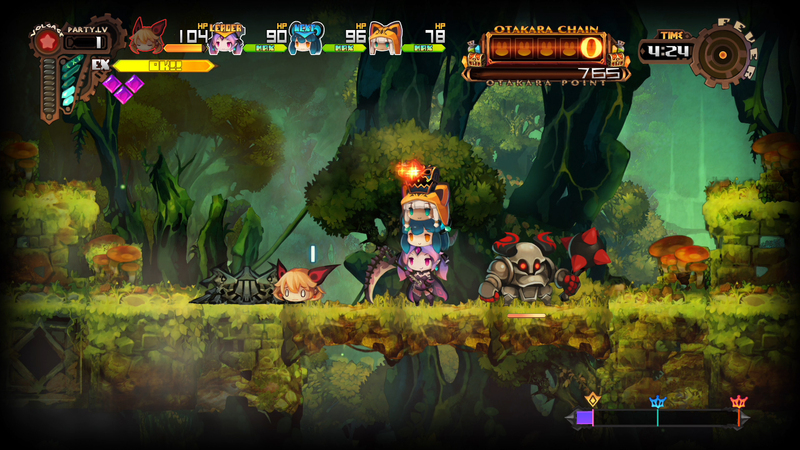 Additionally, when players are attacked by an enemy, a head may be knocked off the stack, where it will be vulnerable to attacks. 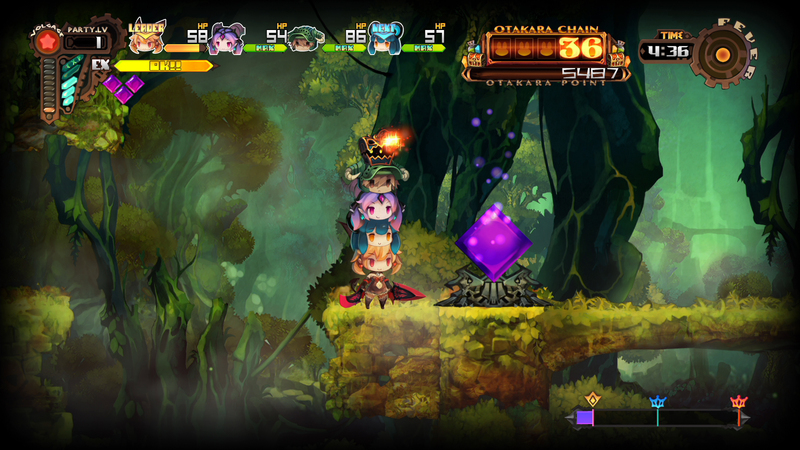 Players can also use their heads as stepping stones to get to high places. 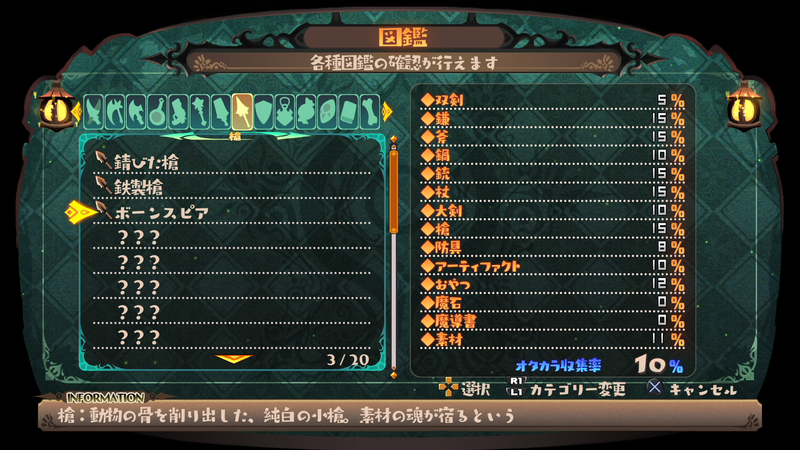 There are five types of equippable items in the game: weapons, armor, artifacts, magic gems, and snacks. Equipment provides various benefits, but there is a cost attached to each piece of equipment and a limit to the total cost of equipment carried. 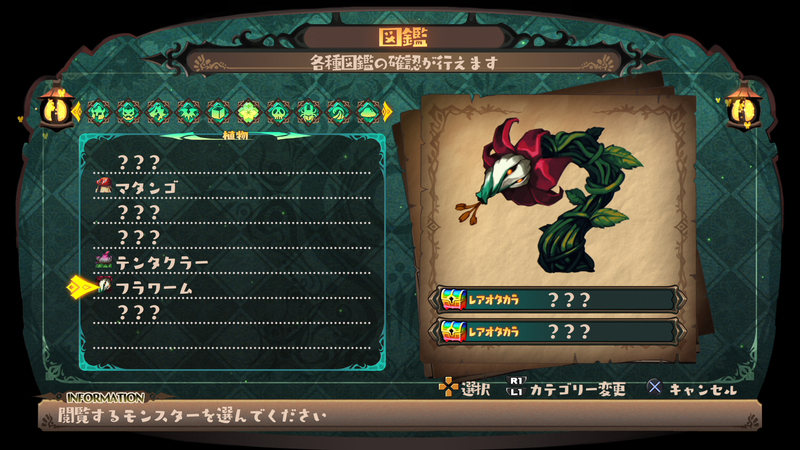 Snacks work as recovery items, with one use granted in each stage. 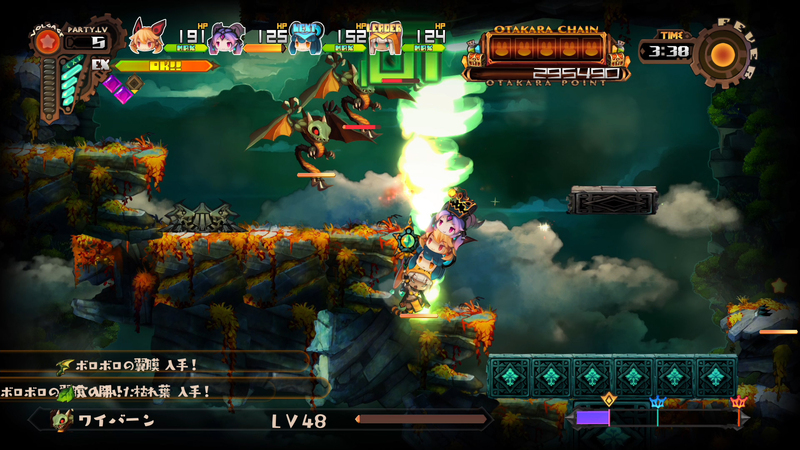 Lapis x Labyrinth (also known as Lapis Re Abyss) was released in Japan on November 29, 2018, for PlayStation 4 and Nintendo Switch. 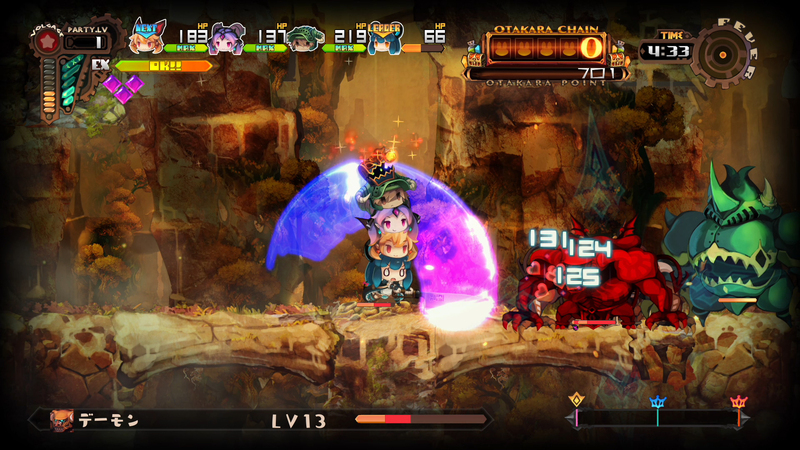 No official announcement has been made regarding a western release. The stacking reminds me of World of F.F.